I’d like to wish all who are celebrating, a very Merry Christmas. Remember there are plenty of ways to enjoy the season in the cities, towns and villages of the 88th Assembly District. Here’s a closer look at some of the events that are taking place. If you have an event that you’d like me to include in the coming weeks, send the information to Paulina@NYAssembly.gov. The City of White Plains Winterfest Holiday Market will kick off at 11 a.m. on Court Street between Martine Avenue and Main Street. There will be shopping, entertainment, food, and more. The Winterfest will run until 7 p.m. Gospel singer Monica Judkins will perform at 12:30 p.m. while The Tappan Zee Bridgemen, a marching band, will perform from 5-7 p.m. Wild Sea Salt with chef Lisa Caccamise will give a cooking demonstration at noon. Visit wpbid.com for more information. The City of White Plains Winterfest Holiday Market continues from 11 a.m.-7 p.m. on Court Street between Martine Avenue and Main Street. 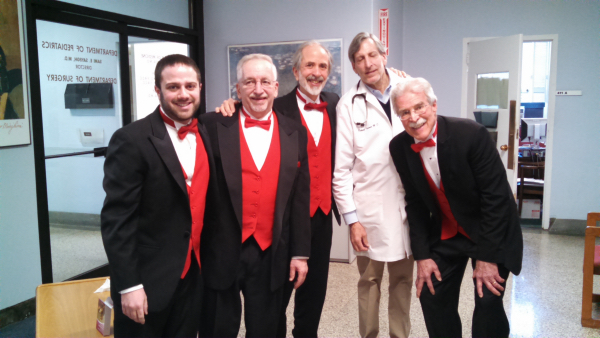 The Forever Young Singers will perform from 1-2 p.m. followed by the Archbishop Stepinac High School Choir from 4-5 p.m. The Deidre O’Mara School of Irish Dance will perform at 6:30 p.m. White Plains Education & Training Center chef Joe Brefere will conduct a cooking demo at 11 a.m., demonstrating how to prepare filet mignon. Visit wpbid.com for more information. 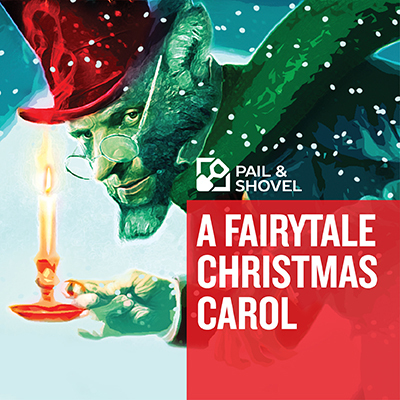 The Westchester Sandbox Theatre will present “A Fairytale Christmas Carol” at The JCC of Mid-Westchester (999 Wilmot Avenue, Scarsdale) at 7:30 p.m. on Thursday and Friday. Visit wstshows.com for more information. The Reformed Church of Bronxville (180 Pondfield Road, Bronxville) will host “Blue Christmas”, a meditative service of music, candlelight, readings and prayer for those seeking stillness and peace during a busy holiday season, at 7 p.m. Visit reformedchurch.org for more information. The faculty of the Music Conservatory of Westchester will perform at The Ritz-Carlton New York, Westchester (3 Renaissance Square, White Plains) in the lobby lounge from 5-8 p.m. Visit musicconservatory.org for more information. Growlers Beer Bistro (25 Main Street, Tuckahoe) will host “The Feast of the 7 Dogfishes” from 7-10 p.m. Enjoy seven of Dogfishes rarest beers responsibly along with food specials. Visit growlersbeerbistro.com for more information. The Westchester Knicks of the NBA G League will take on the Lakeland Magic in a 7-p.m. contest at The Westchester County Center in White Plains. Visit countycenter.biz for more information. The Community Church of the Pelhams (448 Washington Avenue, Pelham) will host Baharat, a contemporary ensemble playing music from the Middle East and from native cultures throughout the world, in a 7:30-p.m. concert. Visit communitychurchofpelham.org for more information. Jeff Dawson will play at the piano bar at Underhills Crossing (74.5 Pondfield Road, Bronxville) from 7-11 p.m. Visit underhillscrossing.com for more information. Zachys (16 East Parkway, Scarsdale) will host a sparkling wine tasting from 4-7 p.m. Visit zachys.com for more information. The White Plains Performing Arts Center (11 City Place, White Plains) will present “The Hunchback of Notre Dame”, a musical based on the Victor Hugo story with music from the Disney movie, at 7 p.m. There will also be shows on Saturday at 2 and 7 p.m. Visit wppac.com for more information. The City of White Plains Winterfest Holiday Market continues from 11 a.m.-9 p.m. on Court Street between Martine Avenue and Main Street. Sean Cantatore from Flanders Warehouse will perform at 12:30 p.m. The Westchester Chordsmen, a renowned male chorus, will perform Christmas and Hanukkah songs at 5 p.m. Room To Create will present a Craft Workshop at 5:30 p.m. There will be a reading of Polar Express at 6 p.m. followed by a 6:30-p.m. performance by The Lagond Music School. The Carousel Dance Studio will showcase its talent at 7:30 p.m. and the evening will conclude with an open mic from 8-9 p.m. Visit wpbid.com for more information. Julius Rodriguez will perform from 7-10:30 p.m. at Alvin & Friends Restaurant (14 Memorial Highway, New Rochelle). Visit alvinandfriendsrestaurant.com for more information. Michelle DeAngelis will play at the piano bar at Underhills Crossing (74.5 Pondfield Road, Bronxville) from 8-11:55 p.m. Visit underhillscrossing.com for more information. The Bronxville Library (201 Pondfield Road) will show the film “The Santa Claus 3 – The Escape Claus” at 3:30 p.m. Visit bronxvillelibrary.org for more information. Zachys (16 East Parkway, Scarsdale) will host a Johnnie Walker Blue tasting and engraving from 4-7 p.m. Visit zachys.com for more information. The St. Paul’s Church and National Historic Site (897 South Columbus Avenue, Mount Vernon) will host organist Kathryn Jones as she performs holiday classics at 2 p.m. Visit nps.gov/sapa for more information. The Bartow-Pell Mansion Museum (895 Shore Road, Pelham Bay Park) will present “Cookies and Crafts” from noon-2 p.m. Decorate holiday cookies and explore the mansion as its all decked out for the holiday season. Visit bartowpellmansionmuseum.org for more information. The Christopher Brown Band will perform at Growlers Beer Bistro (25 Main Street, Tuckahoe) at 9:30 p.m. Visit growlersbeerbistro.com for more information. The City of White Plains Winterfest Holiday Market continues from 11 a.m.-9 p.m. on Court Street between Martine Avenue and Main Street. Santa will be on hand from noon-2 p.m. The Rockin’ Winter Chicklets & Two Elves will perform from 2-3 p.m. Christopher Agostino’s Story Faces – Tales of Transformation and Wonder, a unique performance of storytelling and face painting, is scheduled for 3 p.m. The Back 2 Rock Music School will play from 4-5 p.m. followed by Jim Keyes, who will perform Dickensian-era music in costume with authentic instruments. The Katonah Celebration Ringers are scheduled to play from 6:30-7:30 and the evening will close out with a show by The Jacob Harelick Groove from 8-9 p.m. Break Bread Not Hearts will present a cooking demo by chef D’Amour Green at 5:30 p.m. Visit wpbid.com for more information. 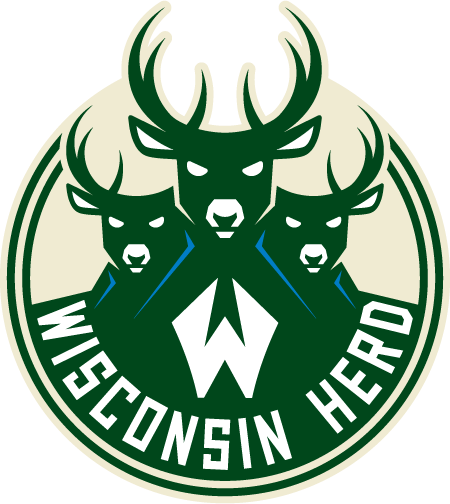 The Westchester Knicks of the NBA G League will take on the Wisconsin Herd in a 5-p.m. contest at The Westchester County Center in White Plains. Visit countycenter.biz for more information. The Leslie Pintchik Trio will perform from 7:30-11p.m. at Alvin & Friends Restaurant (14 Memorial Highway, New Rochelle). Visit alvinandfriendsrestaurant.com for more information. Mike LaMassa will play at the piano bar at Underhills Crossing (74.5 Pondfield Road, Bronxville) from 8-11:55 p.m. Visit underhillscrossing.com for more information. The City of White Plains Winterfest Holiday Market continues from 10 a.m.-2 p.m. on Court Street between Martine Avenue and Main Street. 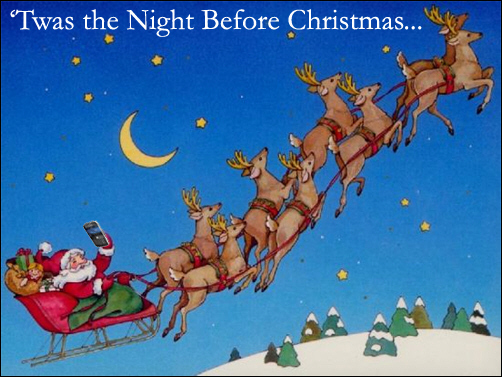 White Plains mayor Tom Roach will read ‘Twas The Night Before Christmas at 11 a.m. Visit wpbid.com for more information. Liam Davis will play at the piano bar at Underhills Crossing (74.5 Pondfield Road, Bronxville) from 6-11 p.m. Visit underhillscrossing.com for more information. The 103rd annual Bronxville Village Christmas Pageant will take place at The Reformed Church of Bronxville (180 Pondfield Road, Bronxville) at 5:30 p.m. Visit reformedchurch.org for more information. Veterans Day is Saturday, a day to remember and thank the brave men and women who have served and fought for our country. I hope you will enjoy all the wonderful things to do and see in the cities, towns and villages of the 88th Assembly District. Here’s a closer look at some of the events that are taking place. Remember that if you have an event that you’d like me to include in the coming weeks, send the information to Paulina@NYAssembly.gov. Shaarei Tikvah Synagogue (46 Fox Meadow Road, Scarsdale) will present “Kristallnacht”, hosted by author Marty Brounstein. He will discuss “The Night of Broken Glass” and the integral part it played in the Holocaust. Visit org for more information. The Reformed Church of Bronxville (180 Pondfield Road, Bronxville) will host nurses from NY Presbyterian/Lawrence from 10-a.m. 2 p.m. as they administer flu shots in the Fellowship Room. Visit bronxvilleseniors.org for more information. The Scarsdale Farmer’s Market will take place from noon-7 p.m. in Boniface Circle (Scarsdale). This is a pilot program expected to last six to eight weeks. Contact Susan Douglass at susandouglass@gmail.com for more information. The Westchester Reform Temple (255 Mamaroneck Road, Scarsdale) will host Rabbi Jonathan Blake as he continues his informative series “Everything You Ever Wanted To Know About Reform Judaism” at 9:30 a.m. This week’s topic is Reform Judaism from 1972 to today. Visit wrtemple.org for more information. The White Plains Performing Arts Center (11 City Place, White Plains), in conjunction with the Westchester Sandbox Theater, will present “Willy Wonka, Jr.” at 7 p.m. on Thursday and Friday, at 11 a.m. and 2 p.m. on Saturday and at noon and 3 p.m. on Sunday. Visit wppac.com for more information. 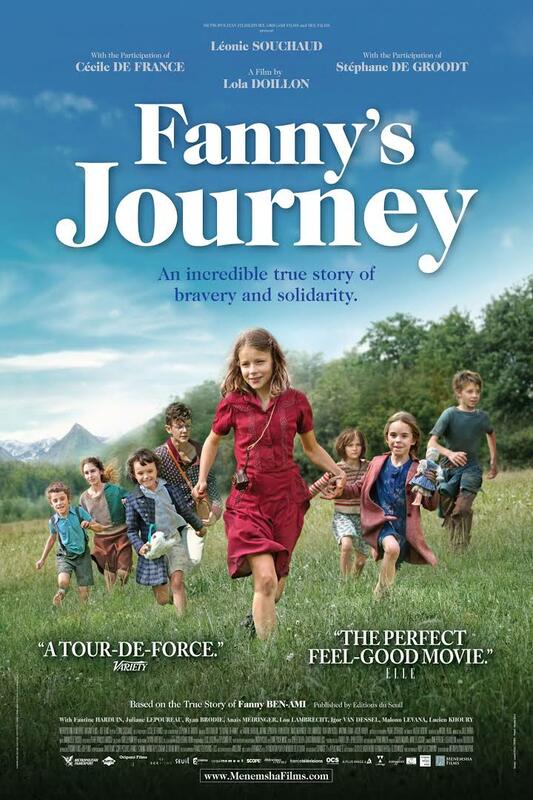 The Holocaust and Human Rights Education Center will show the film “Fanny’s Journey” at the JCC of Mid-Westchester (999 Wilmot Road, Scarsdale) at 10:30 a.m. It’s the story of a 13-year-old girl who took her sisters first from their home in occupied France to a foster home in Italy for Jewish children and then to Switzerland to evade the Nazis. Visit hhrecny.org for more information. The Israeli Art Festival and Sale will take place at Beth-El Synagogue Center (1324 North Avenue, New Rochelle) from 6:15-10 p.m. There will be music and food, too. There will be additional hours from 9 a.m.-1 p.m. on Friday. Visit bethelnr.org for more information. The Sarah Lawrence College Heimbold Visual Arts Center (917 Kimball Ave, Bronxville) will present a 3D screening of “The Flavor Genome”, a techno-sensual journey into the unexplored threshold of adaptation, mutation, and hybridization of living organisms, at 5:15 p.m. There will also be a Q&A with filmmaker Anicka Yi. Visit sarahlawrence.edu for more information. The Bronxville Library (201 Pondfield Road, Bronxville) will host Bulbs in Bloom, a workshop for those who have little or no experience planting bulbs, at 1:30 p.m. Visit bronxvillelibrary.org for more information. A Memorial Tribute to New Rochelle residents who made the Supreme Sacrifice while on active military duty will be on display in the Lumen Winter Gallery in the New Rochelle Library (1 Library Plaza, New Rochelle) from 10:30 a.m.-noon. The tribute will also take place on Friday and Sunday. Visit newrochelleny.com for more information. The Algonquin’s 1st Annual Mayor’s Breakfast, sponsored by the Westchester-Putnam Council of the Boy Scouts of America, will take place at 8 am. at Lake Isle Country Club (660 White Plains Road, Eastchester). Eastchester Supervisor Tony Colavita, Bronxville Mayor Mary Marvin and Tuckahoe Mayor Steve Ecklond will all be in attendance. E-mail algonevents@gmail.com for more information. 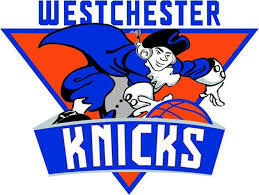 The Westchester Knicks of the NBA Developmental League will host the Grand Rapids Drive in a 7-p.m. contest at The Westchester County Center in White Plains. Visit countycenter.biz for more information. Temple Israel of New Rochelle (1000 Pinebrook Boulevard, New Rochelle) will host a Kol Shabbat (The Voice of Shabbat) Dinner Honoring Veterans following the 6 p.m. service. Visit tinr.org for more information. 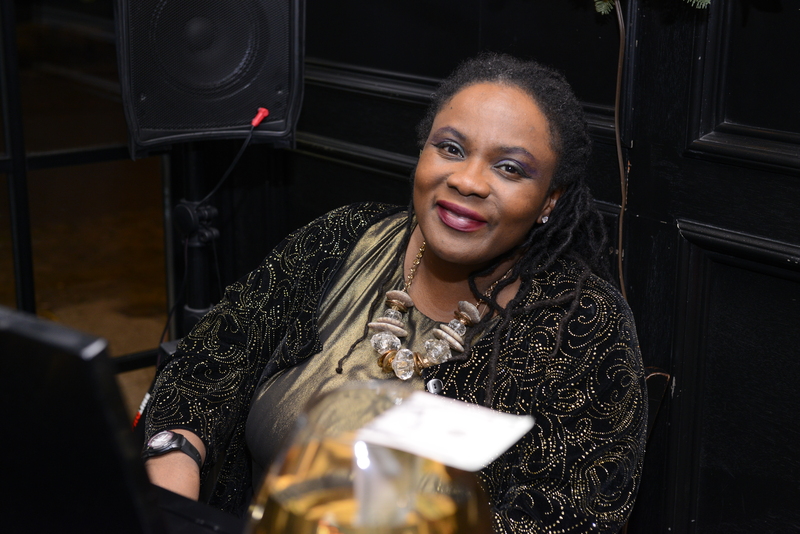 Dannis Winston will man the piano bar at Underhills Crossing (74.5 Pondfield Road, Bronxville) from 8-11:55 p.m. Visit underhillscrossing.com for more information. The Jared Pauley Quartet will perform from 7:30-11 p.m. at Alvin & Friends Restaurant (14 Memorial Highway, New Rochelle) from 7:30-11 p.m. Visit alvinandfriendsrestaurant.com for more information. The 2nd Friday Book Club will meet at The Pelham Library (530 Colonial Avenue, Pelham) at 10:30 a.m. to discuss “Interpreter of Maladies” by Jhumpa Lahiri. Visit pelhamlibrary.org for more information. The New Rochelle Basketball Association will host a donation drive for Puerto Rico at New Rochelle High School (265 Clove Road, New Rochelle) from 6-9 p.m. and again on Saturday from 8-11 a.m. Visit newrochelleny.com for more information. The JCC of Mid-Westchester (999 Wilmot Road, Scarsdale) will host “A Recital with Yossi Arnheim” from 8-9 p.m. Arnheim is the principal flutist and frequent soloist with the Israeli Philharmonic Orchestra. He will be accompanied by Soyeon Kim on the piano. Visit jccmw.org for more information. The Walkabout Clearwater Coffeehouse Music Series will continue at Memorial United Methodist Church (250 Bryant Avenue, White Plains) at 7:30 p.m. with a performance by The Kennedys. Visit walkaboutclearwater.org for more information. The Boys & Girls Club of New Rochelle (79 Seventh Street, New Rochelle) will host Session One of its Fall Basketball Clinic, open to children grades K-6. The clinics, which run from 10 a.m.-12:45 p.m., will continue through Jan. 20 with off-days on Nov. 25, Dec. 23 and 30. Session Two will begin Feb. 3. Visit bgcnr.org for more information. The St. Paul’s Church and National Historic Site (897 South Columbus Avenue, Mount Vernon) will hold an 11-a.m. ceremony in honor of Veterans Day, which will be followed by a tour of the historic cemetery. Lisa Russell will then host a special musical presentation at 1 p.m. Visit npsgov/sapa for more information. New York State will hold a Free Fishing Day during which anyone can fish the fresh waters of New York State and no fishing license is required. All other freshwater fishing regulations apply. Visit http://www.dec.ny.gov/outdoor/89821.html for more information. The Bartow-Pell Mansion Museum (895 Shore Road, Pelham Bay Park) will host “Beyond the Oak Tree Treaty – Part III, A Native American Fashion and Pop-Up Exhibition” at 2 p.m. Melissa Oakes, known as Lako:wihe`ne, will display her work and be on hand to discuss her Mohawk-inspired designs. Visit bartowpellmansionmuseum.org for more information. The Playgroup Theatre (One North Broadway, White Plains) will present Arthur Miller’s “The Crucible” at 8 p.m. and again on Sunday at 2 p.m. Visit playgroup.org for more information. 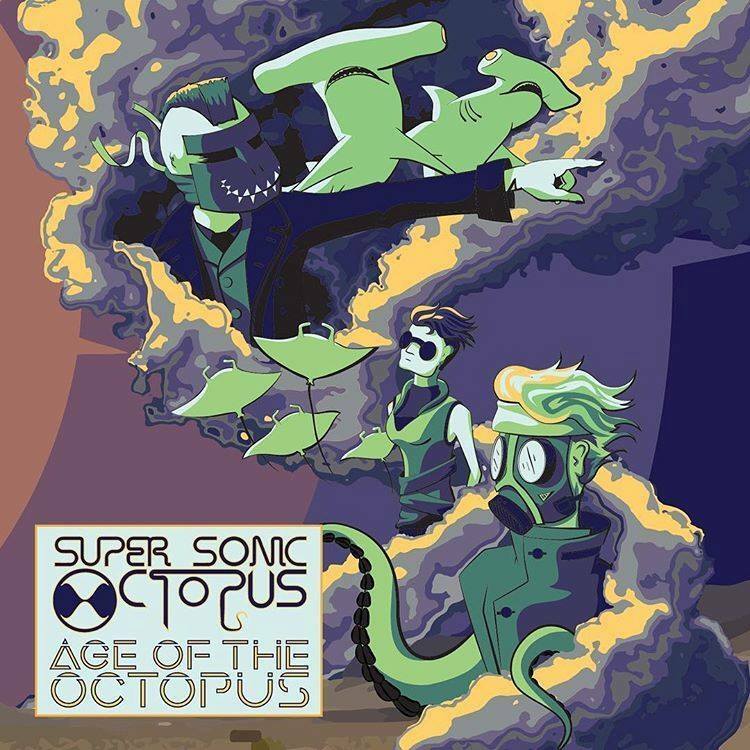 Supersonic Octopus will perform at Growlers (25 Main Street, Tuckahoe) at 9:30 p.m. Visit growlersbeerbistro.com for more information. Michelle DeAngelis will man the piano bar at Underhills Crossing (74.5 Pondfield Road, Bronxville) from 8-11:55 p.m. Visit underhillscrossing.com for more information. The Beth-El Synagogue Center (1324 North Avenue, New Rochelle) will hold Beth-El’s Speakeasy, an evening of arts, drinks and jazz, from 7:30-11 p.m.as part of the Israeli Art Festival and Sale. Visit bethel.org for more information. The Leslie Pintchik will perform from 7:30-11 p.m. at Alvin & Friends Restaurant (14 Memorial Highway, New Rochelle) from 7:30-11 p.m. Visit alvinandfriendsrestaurant.com for more information. Young Israel of Scarsdale (1313 Weaver Street, Scarsdale) will host Mordechai Shapiro in a 6-p.m. concert as part of a Kids of Courage Shabbaton and Concert Weekend. Visit yisny.org for more information. The West Center Congregational Church (101 Pondfield Road West, Bronxville) will host a “Holiday Boutique” from 10 a.m.-3 p.m. and again on Sunday from 12:30-3 p.m. Visit westcenterchurch.org for more information. The City of White Plains will host its annual Veterans Day Ceremony on the steps of City Hall (225 Main Street, White Plains) at 10:30 a.m. Visit cityofwhiteplains.com for more information. The City of New Rochelle will host its annual Veterans Day Service in Memorial Plaza at 10:30 a.m. Visit newrochelleny.com for more information. The Village of Pelham will host a Veterans Day Ceremony at Veteran’s Memorial Park next to Village Hall at 11 a.m. Call 914-738-1021 for more information. VFW Post 2285 Eastchester/Tuckahoe will hold an 11-a.m. ceremony at Parkway Oval in Tuckahoe in honor of Veterans Day. Former Tuckahoe resident Mario Pomponio, who received a Distinguished Service Cross in WWII, will be honored with a plaque. Call 914-771-3300 for more information. The Village of Scarsdale will host a Veterans Day Parade in the Village Center at 10:30 a.m. followed by a 10:50 ceremony in Boniface Circle. Call 914-722-1100 for more information. 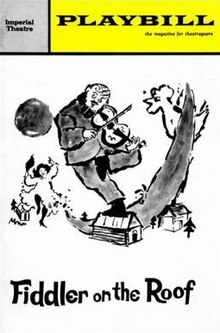 The Music Conservatory of Westchester (216 Central Avenue, White Plains) will present “An Autumn Afternoon of Music”, featuring renowned internationally recognized violinist Ani Kavafian, at 3 p.m. Contact Aishling Quinn, aishling@musiced.org, or Laura Layne, 914-761-3900 x106, for more information. The Westchester Reform Temple (255 Mamaroneck Road, Scarsdale) will continue its Aging Well lecture series at 10 a.m. This week’s installment will cover Trigger Events, focusing on the health and well-being not only of the patient but that of the caregiver. Visit wrtemple.org for more information. The Bartow-Pell Mansion Museum (895 Shore Road, Pelham Bay Park) will host the Bartow to Bartow Challenge from 11 a.m.-2 p.m. Amelia Zaino, a BPMM educator, and Barbara Burn Dolensek will conduct a casual walk along the restored Hutchinson River Greenway to the museum. Refreshments and tours will be available upon return to the museum. Visit bartowpellmansionmuseum.org for more information. The Westchester Knicks of the NBA Developmental League will host Raptors 905 in a 3-p.m. contest at The Westchester County Center in White Plains. Visit countycenter.biz for more information. Decorated Cold War veteran Will Bunche will be at Barnes & Noble (680 Post Road, Scarsdale) for a noon discussion about his book “Mercy’s First Semester”, the story of a vet dealing with PTSD upon his return from two tours of active duty. Visit https://stores.barnesandnoble.com/store/3304?view= for more information. Scarsdale Synagogue Temples Tremont and Emanu-El (2 Ogden Road, Scarsdale) will host a day trip to The Statue of Liberty and Ellis Island. Meet at the temple at 8:45 a.m. to take the bus or meet the group at the ferry dock in Battery Park at 10:30 a.m. Visit sstte.org for more information. 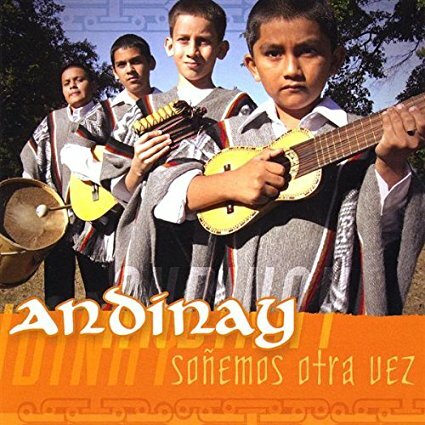 The New Rochelle Public Library (1 Library Plaza, New Rochelle) will host Andinay, a five-piece musical group with roots in Ecuador, Bolivia and Brazil, at 3 p.m. Visit nrpl.org for more information. Composer Matt Van Brink will perform in “The Concert for the Young and The Young at Heart” at the Bronxville Library (201 Pondfield Road, Bronxville) at 3 p.m. Visit bronxvillelibrary.org for more information. The Archeological Institute of America, Westchester Chapter will present “Hellenism at the Edge of the World: New Excavations in Uzbekistan” at the Scarsdale Library (54 Olmstead Road, Scarsdale) at 2 p.m. Visit scarsdalelibrary.org for more information. It’s time to turn back the clocks this weekend and while it will be getting dark earlier that doesn’t mean there isn’t time to enjoy all the wonderful things there are to do and see in the cities, towns and villages of the 88th Assembly District this weekend. The Beth-El Synagogue Center (1324 North Avenue, New Rochelle) will host Rabbi David Schuck and Rabbi Zach Sitkim along with Dr. Carol Diament for a 9:30 a.m. discussion that will pair Jerusalem in biblical and rabbinical sources with Jerusalem in modern Israeli literature. Visit bethelnr.org/limmud for more information. (914)Pop Ups (13-15 Boniface Circle, Scarsdale) will host a shopping celebration from 4-9 p.m., featuring bags, clothes, accessories and more. This will run in conjunction with a beauty event held at BLVD (12 Chase Road, Scarsdale). The Birch Collective, a new White Plains-based restaurant will be providing light food and refreshments. Call 646-360-1450 for more information. ArtsWestchester (31 Mamaroneck Avenue, White Plains) will present “Give Us the Ballot: an Evening with Voting Rights Journalist and Historian Ari Berman” at 7 p.m. Visit artswestchester.org for more information. Author Andrea Raynor, a counselor at Greenwich Hospital Home Hospice, will talk about her work and her books at Barnes & Noble (680 Post Road, Scarsdale) at 7 p.m. Visit https://stores.barnesandnoble.com/store/3304?view= for more information. The Sarah Lawrence College Theatre performers will present “The Last Days of Judas Iscariot” at The Frances Ann Cannon Theatre (1 Mead Way, Bronxville) at 7 p.m. on Friday, Saturday and Sunday. Visit sarahlawrence.edu for more information. Iona College (715 North Avenue, New Rochelle) will present “Holocaust & Human Rights Education Center Professional Development Workshop: Teaching About Race and Racism” from 3-7 p.m. in Spellman Hall. Westchester County District Attorney Anthony A. Scarpino, Jr. will open the program. Visit hhrecny.org for more information. Yan Kjar will man the piano bar at Underhill’s Crossing (74.5 Pondfield Road, Bronxville) from 7-11 p.m. Visit underhillscrossing.com for more information. 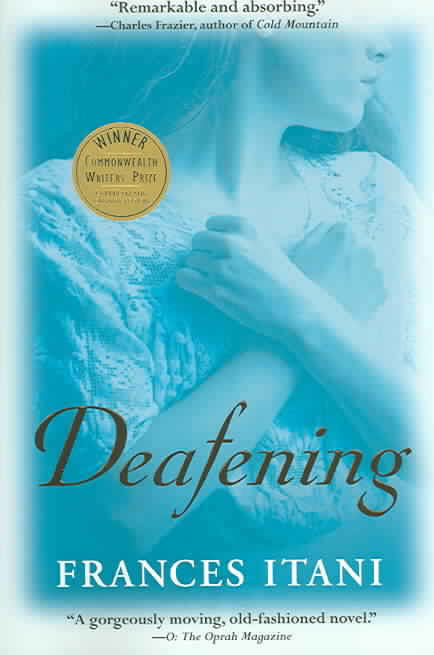 The After Dark Book Club will meet at 7:30 p.m. at The Pelham Library (530 Colonial Avenue, Pelham) to discuss “Deafening” by Frances Itani. Visit pelhamlibrary.org for more information. The Scarsdale Middle School (134 Mamaroneck Road Scarsdale) will host “The Low-Down on the Local Tween and Teen Highs”, which is a presentation and Q&A regarding pre-teen and teenage substance usage in Scarsdale, at 7:30 p.m. Call 914-721-2400 for more information. The Sarah Lawrence College Heimbold Visual Arts Center (917 Kimball Avenue, Bronxville) will show the Michael Moore film “Where to Invade Next” at 5 p.m. as part of the Inaugural Year Series. Visit sarahlawrence.edu for more information. ArtsWestchester (31 Mamaroneck Avenue, White Plains) will host musicians and storytellers Kim and Reggie Harris at 7 p.m. as they discuss and perform traditional African-American spirituals and freedom songs in an interactive performance. Visit artswestchester.org for more information. The Bartow-Pell Mansion Museum (895 Shore Road, Pelham Bay Park) will host First Friday! Music & Trolley from 5:30-8:30 p.m. Skip Giaco and his jazz quartet will perform at the mansion while the trolley makes an hourly loop from the #6 Pelham Bay Park subway station to the mansion and City Island. Visit bartowpellmansionmuseum.org for more information. 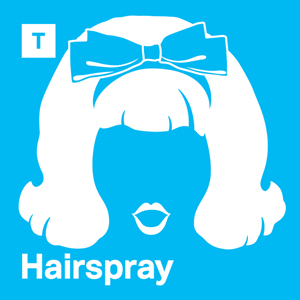 The Westchester Sandbox Theater will join The White Plains Performing Arts Center (11 City Place, White Plains) to present an 8 p.m. performance of the musical “Hairspray”. There will be shows at 2 and 8 p.m. on Saturday and 2 p.m. on Sunday. Visit wppac.com for more information. The Chabad of Bronxville (1 Stone Place, Bronxville) will host Soup and Scotch at 5:30 p.m. Following services there will be a variety of soups and fine scotch to sample. Visit jewishbronxville.com for more information. The League of Women Voters of Scarsdale will host its Fall Food For Thought Luncheon at the Scarsdale Golf Club (Club Way, Hartsdale) from 11:45 a.m.-2 p.m. Susanne Pari, an Iranian-American author, is the keynote speaker. Visit lwvs.org for more information. Author Noah Lederman will present “A World Erased: A Grandson’s Search For His Family’s Holocaust Secrets” in a 7:45-p.m. discussion at Temple Israel of White Plains (280 Old Mamaroneck Road, White Plains). Visit templeisraelcenter.org for more information. Jazz pianist Donburn Wint will perform at Alvin & Friends Restaurant (14 memorial Highway, New Rochelle) from 7-10:30 p.m. Visit alvinandfriendsrestaurant.com for more information. Dannis Winston will man the piano bar at Underhill’s Crossing (74.5 Pondfield Road, Bronxville) from 8-11:55 p.m. Visit underhillscrossing.com for more information. The New Rochelle Library (1 Library Plaza, New Rochelle) will host The Friends BIG Holiday Book Sale from 10 a.m.- 4 p.m. on Friday and Saturday. Visit nrpl.org for more information. The New Rochelle Grand Market Downtown will take place at 1 Library Plaza at 9 a.m. The market, which will remain open until 2 p.m., will feature fresh produce, baked goods, honey, crafts and more. Visit newrochelledowntown.com for more information. The Lincoln Park Community Garden (Lincoln Avenue, New Rochelle) will host Yoga in the Garden with Yogi Ashley at 10 a.m. Visit newrochelleny.com for more information. The Scarsdale Congregational Church (1 Heathcote Road, Scarsdale) will host a tag sale from 9 a.m.- 3 p.m. There will be furniture, house wares, estate items, art, books, toys, electronics, and clothing for all, linens, lunch and more. Visit scc-ucc/sales for more information. The St. Paul’s Church and National Historic Site (897 South Columbus Avenue, Mount Vernon) will host SUNY Purchase professor Lisa Keller as she explores the history of gaining the right to vote in New York. Visit nps.gov/sapa for more information. The Reformed Church of Bronxville (180 Pondfield Road, Bronxville) will host The Fall Clothing Closet Sale from 9 a.m.-2 p.m. There will also be books, tableware, jewelry and much more. Visit reformedchurch.org for more information. Group Therapy will perform at Growlers Beer Bistro (25 Main Street, Tuckahoe) at 9:30 p.m. Visit growlersbeerbistro.com for more information. The Westchester Fall Home Show will take place at The Westchester County Center in White Plains from 11 a.m.-6 p.m. on Saturday and 11 a.m.-5 p.m. on Sunday. Visit countycenter.biz for more information. 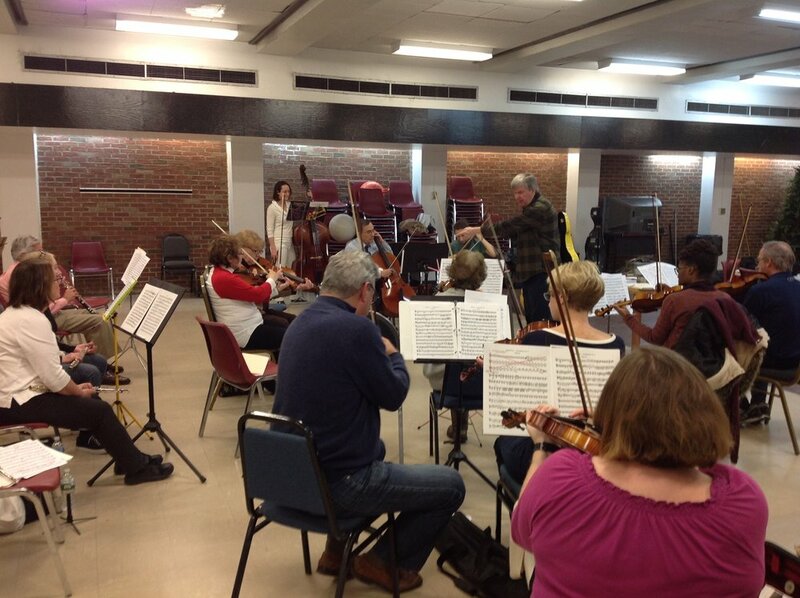 The Symphony of Westchester will perform at Iona College (715 North Avenue, New Rochelle) at 8 p.m. 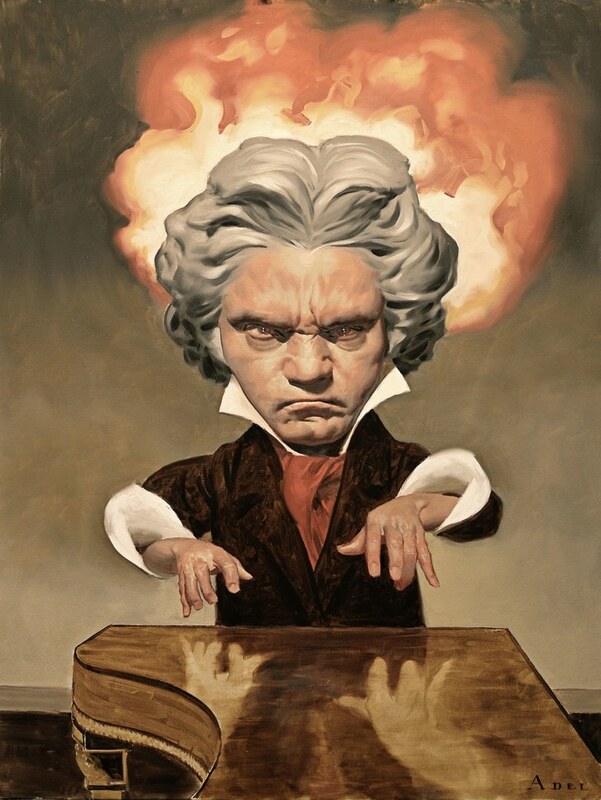 It will be an all-Beethoven performance. Visit thesymphonyofwestchester.org for more information. Michelle DeAngelis will man the piano bar at Underhill’s Crossing (74.5 Pondfield Road, Bronxville) from 8-11:55 p.m. Visit underhillscrossing.com for more information. Actor/director/comic Kevin Farley will give a 9:30 p.m. performance at Rockwell’s (105 Wolfs Lane, Pelham). Visit rockwellsusa.net for more information. The Digital Arts Experience and Westchester Community College’s Peekskill and White Plains Extension Centers will host the S.T.E.A.M. Fair from 1-4 p.m. at the WCC White Plains Extension (198 Central Avenue, White Plains). There will be many workshops and demonstrations, including computer programming, 3D animation/printing, digital painting/drawing and photography. Visit http://www.sunywcc.edu/events/s-t-e-m-fair-featuring-digital-arts/ for more information. The Scarsdale Library (54 Olmstead Road, Scarsdale) will host “Demystifying Medicare”, a program designed for older adults who wish to learn more about using the Medicare system, from 1-4 p.m. Visit scarsdalelibrary.org for more information. The Eastchester Farmer’s Market will take place in the parking lot of Country Markets of Westchester (344 White Plains Road, Eastchester) from 10 a.m.-3 p.m. The Farmer’s Market will run through mid-October. Visit facebook.com/EastchesterFarmersMarket for more information. The New Rochelle NAACP Freedom Fund annual dinner will take place at Mulino’s at Lake isle (660 White Plains Road, Eastchester) from 4-9 p.m. The Guest of Honor is Dr. Hazel N. Dukes, the president of the NYS Conference NAACP. Honorees are Alvin & Friends Restaurant in New Rochelle, Corey Andrews, Sgt. Calvin Mcgee, Dr. Adrienne Weiss-Harrison & Rachel Motley. Call 914-961-7800 for more information. Pianist Adam Kent will give a 12:30 p.m. performance at The Community Unitarian Universalist Church (468 Rosedale Avenue, White Plains). Visit cucwp.org for more information. The Bronxville Women’s Club (135 Midland Avenue, Bronxville) will host a reception for artist M. Idra from 2-5 p.m. to mark the opening of the latest event. Visit bronxvillewomensclub.org for more information. The City of White Plains will host The Frightfully Fun Festival on Court Street between Main Street and Martine Avenue. There will be a pumpkin patch, food, games and more. Visit wpbid.com for more information. The Hitchcock Presbyterian Church (6 Greenacres Avenue, Scarsdale) will host its Hitchcock Sunday Seminar “Setting the Record Straight on Deferred Action for Childhood Arrivals” from 6-7:30 p.m. Visit hitchcockpresby.org for more information. Temple Israel of New Rochelle (1000 Pine Brook Boulevard, New Rochelle) will host a Safe Driver’s Course from 9:30 a.m.-3 p.m. Visit tinr.org for more information. Temple Beth-El (1324 North Avenue, New Rochelle) will host its Hot Topics in Conservative Judaism Series at 7 p.m. This week’s topic is “Israel and the Diaspora”. Visit bethelnr.org for more information. 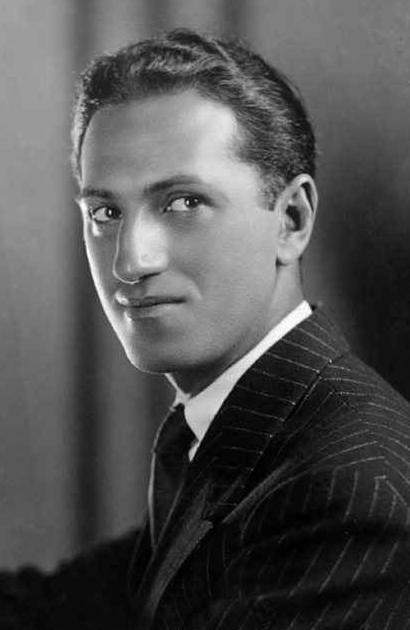 New York Cabaret Unlimited will perform the works of George and Ira Gershwin at the New Rochelle Library (1 Library Plaza, New Rochelle) from 3-4 p.m. Visit nrpl.org for more information. The Fox Meadow Neighborhood Association will host its second annual Fox Trot event at 9 a.m. at the Brite Avenue tennis courts. The event is a 1 or 2-mile walk/run that will feature refreshments and a scavenger hunt. Contact Molly Lehr at molly750@gmail.com for more information. The Eastchester Library (11 Oakridge Place, Eastchester) will host Richard Knox as he lectures on The Great American Songbook at 1:30 p.m. This is part one of a four-part series that will cover the great standards from the early to mid-20th Visit www.eastchesterlibrary.org for more information. What a busy weekend we have ahead of us in the 88th Assembly District. There are movies, benefits, celebrations and much more to see and do. And, it’s Friday the 13th, so grab your rabbit’s foot and enjoy the weekend. Here’s a closer look at some of the events that are taking place. Have a good weekend and remember that if you have an event that you’d like me to include in the coming weeks, send the information to Paulina@NYAssembly.gov. The Manor Club (1023 Esplanade, Pelham Manor) will present “Saving Radio City Music Hall – A Dancer’s True Story” at 7:30 p.m. There will be a book signing and a discussion by Rosie Novellino-Mearns. Visit themanorclubofpelham.org for more information. The Woman’s Club of White Plains (305 Ridgeway, White Plains) will host “Think Pink”, an evening of networking combined with a 30-minute breast and ovarian health educational workshop, at 7:30 p.m. Visit womansclubofwhiteplains.org for more information. 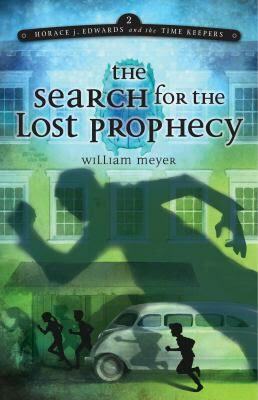 Local author and educator William Meyer will be at Barnes & Noble (680 Post Road, Scarsdale) at 7 p.m. to discuss his book The Search for the Lost Prophecy. Visit https://stores.barnesandnoble.com/event/9780061891008-0 for more information. Sarah Lawrence College (1 Mead Way, Scarsdale) will present “The Inaugural Year: Good Morning Mission Hill”, a documentary about successful urban school teachers, at 5 p.m. Visit sarahlawrence.edu for more information. The Picture House (175 Wolfs Lane, Pelham) will show an advance screening of The Smog of the Sea, which covers a one-week journey through the Sargasso Sea, at 7:30 p.m. followed by a discussion with photojournalist Hillary Hauser. Visit thepicturehouse.org for more information. Rockwell’s (105 Wolfs Lane, Pelham) will host a special Ladies Night as part of a Girl Scout charity event beginning at 7 p.m. Comediennes Marla Schultz, Patty Rosborough and Jackie Saril are scheduled to appear. All proceeds will benefit Girl Scout Troop 1662 for its trip to help an orphanage in Guatemala. Visit rockwellsusa.net for more information. Jeff Dawson will perform at Underhills Crossing (74.5 Pondfield Road, Bronxville) piano bar from 7-11 p.m. Visit underhillscrossing.com for more information. The Scarsdale Library (54 Olmstead Road, Scarsdale) will host The Scarsdale Literary Salon at 7:30 p.m. Discuss the works of five writers and their vision from different parts of the world. Visit thescarsdalesalon.wordpress.com for more information. The Immaculate Heart of Mary Church (8 Carman Road, Scarsdale) will host a wine-tasting event at 7:30 p.m. Visit ihm-parish.org for more information. The White Plains Performing Arts Center (11 City Place, White Plains) will present “Ghost The Musical” at 8 p.m. There will also be an 8 p.m. performance on Saturday and a 2 p.m. matinee on Sunday. Visit wppac.com for more information. The Bronxville Sidewalk Sale will kick off at 10 a.m. and run through 6 p.m. on Friday and Saturday. Visit bronxvillechamber.com for more information. Dannis Watson will perform at Underhills Crossing (74.5 Pondfield Road, Bronxville) piano bar from 8-11:55 p.m. Visit underhillscrossing.com for more information. The Bereavement Center of Westchester will host a “Treemiere” at Sarah Lawrence College (1 Mead Way, Bronxville) at 6:30 p.m. The film “Wonderstruck”, based on the book by Brian Selznick, will be shown. Selznick will also be on hand to introduce the film. Visit treemiere.brownpapertickets.com/ for more information. The City School District of New Rochelle and the New Rochelle Youth Bureau will host a Hispanic Heritage Month Celebration at New Rochelle High School (265 Clove Road, New Rochelle) at 5:30 p.m. There will be poetry, music, dancing and more. Visit newrochelleny.com for more information. 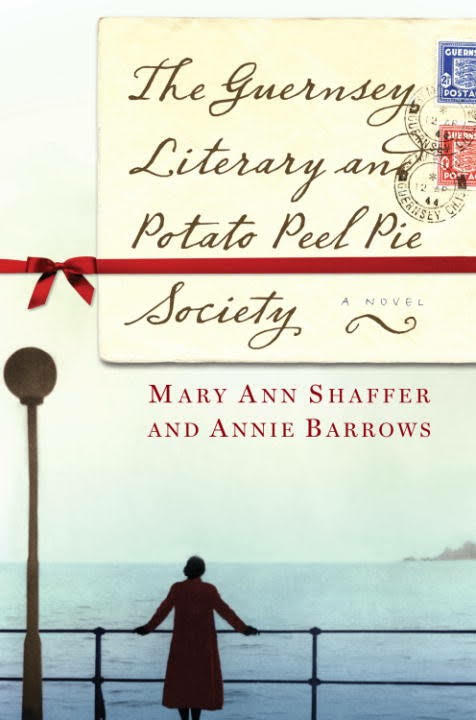 The 2nd Friday Book Club will meet at the Pelham Library (530 Colonial Avenue, Pelham) at 10:30 a.m. to discuss “The Guernsey Literary and Potato Peel Pie Society” by Mary Ann Shaffer and Annie Barrows. Visit pelhamlibrary.org for more information. The Scarsdale Library (54 Olmstead Road, Scarsdale) will continue its Foreign Film series at 1:45 p.m. with a showing of the critically acclaimed “After The Storm”. Visit scarsdalelibrary.org for more information. The Scarsdale Woman’s Club (37 Drake Road, Scarsdale) will hold a Tag & Book Sale from 11 a.m.-3 p.m. in The Carriage House, which is located behind the historic clubhouse (37 Drake Road, Scarsdale). Proceeds will be donated to local charities. Visit scarsdalewomansclub.org for more information. The Walkabout Creek Clearwater Coffeehouse Music Series returns to The Memorial United Methodist Church (250 Bryant Avenue, White Plains) at 7:30 p.m. when Grammy nominee John McCutcheon performs. Visit walkaboutclearwater.org for more information. The Bartow-Pell Mansion Museum (895 Shore Road, Pelham Bay Park) will participate in Open House New York, a program that unlocks the doors of New York’s most important buildings, from noon-4 p.m. The program will continue from noon-4 p.m. on Sunday. Visit bartowpellmansionmuseum.org for more information. GirlAgain (4 Martine Avenue, White Plains) will host “Fall Doll T-Shirt Design” at 11 a.m. Create a one-of-a-kind t-shirt for your American Doll. Visit girlagain.com for more information. The band IBEX will perform at Growlers Beer Bistro (25 Main Street, Tuckahoe)at 9:30 p.m. Visit growlersbeerbistro.com for more information. The Yards for Yeardley Road Race, sponsored by the Bronxville Chamber of Commerce, will take place at 9 a.m. beginning at the Meadow Avenue School. Registration begins at 7:45 a.m. Visit bronxvillechamber.org for more information. St. Paul’s Church and National Historic Site (897 South Columbus Road, Mount Vernon) will host The Charles Rhymer Trio for a 1 p.m. jazz concert. Visit www.nps.gov/sapa for more information. The Picture House (175 Wolfs Lane, Pelham) will show the documentary The Paris Opera at 7:30 p.m. followed by a discussion with writer-actor-director Jean-Stéphane Bron. Visit thepicturehouse.org for more information. The Pelham Children’s Center (20 Fifth Avenue, Pelham) will host its annual Pumpkin festival and 5K Run beginning at 8 a.m. Visit pelhamchidlrenscenter.org for more information. The Junior League of Pelham will hold its Oktoberfest from 4-8 p.m. at Fisherman’s Net (129 6th Street, Pelham). Visit jlpelham.org for more information. Mike LaMassa will perform at Underhills Crossing (74.5 Pondfield Road, Bronxville) piano bar from 8-11:55 p.m. Visit underhillscrossing.com for more information. The Leslie Pintchik Trio will perform at Alvin & Friends Restaurant (14 Memorial Highway, New Rochelle) from 7-11 p.m. Visit alvinandfriendsrestaurant.com for more information. Scarsdale Fire Station 3 (56 Crossway, Scarsdale) will host a “Fire Fair” in conjunction with Fire Prevention Month from 10 a.m.-2 p.m. rain or shine. Visit scarsdale.com/165/Fire-Department for more information. The City of White Plains will host the Legends Doubles Tennis Tournament at Gillie Park (85 Gedney Way, White Plains) beginning at 9 a.m. on Saturday and Sunday. Visit cityofwhiteplains.com for more information. 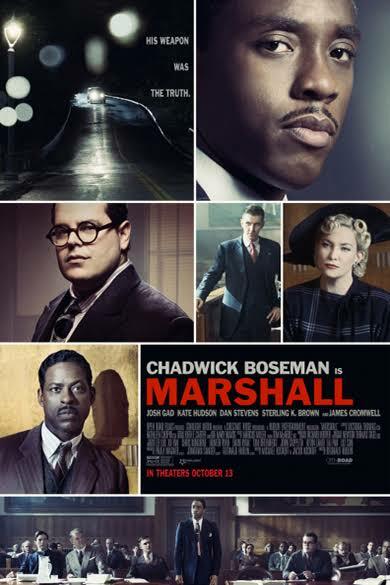 The City of White Plains Youth Bureau, in conjunction with My Brother’s Keeper, will host a showing of “Marshall”, the story of Thurgood Marshall, at White Plains City Center 15 – Cinema de Lux (19 Mamaroneck Avenue, White Plains) at 10 a.m. Visit cityofwhiteplains.com for more information. The New Rochelle Fire Department’s annual Golden Oldies Concert will take place at New Rochelle High School (265 Clove Road, New Rochelle) at 7 p.m. The Cookies and Barbara Harris are among those scheduled to perform. Visit newrochelleny.com for more information. The Scarsdale Library (54 Olmstead Road, Scarsdale) will host “A Taste of Korea” where members of the Korean Spirit and Culture Promotion Project demonstrate how to cook healthy and delicious Korean food. Visit scarsdalelibrary.org for more information. The Bronxville Women’s Club (135 Midland Avenue, Bronxville) will host a “Children’s Recital” at 2 p.m. Children from the Westchester area will be performing on the BWC Stage in a free concert. Visit bronxvillewomensclub.org for more information. The Scarsdale Fall Festival will take place at The Scarsdale Pool Complex (311 Mamaroneck Road, Scarsdale) at 1 p.m. Visit weinbergmaturecenter.org for more information. The Rotary Club of the Pelhams will host Tastings XIII, a sampling from some of the finest restaurants in the area, at 4 p.m. at the Pelham Country Club (940 Wynnewood Road, Pelham). The event, which will also feature music by the Pelham Jazz Ensemble, will serve as the rotary’s primary fundraiser. Visit pelhamrotary.com for more inform ation. The Friends of the Eastchester Library (11 Oakridge Place, Eastchester) will host a craft fair from 1-4 p.m. Visit eastchesterlibrary.org for more information. The AJC Westchester/Fairfield’s Interfaith Committee will meet at Calvary Baptist Church (188 Orawaupum Street, White Plains) at 11 a.m. to continue its Sacred Spaces program. Visit ajc.org/westchester for more information. The Greenacres Neighborhood Association will host its 4th annual Great Greenacres Pancake Breakfast from 8:30-10 a.m. at the Greenacres Field in Scarsdale. Visit greenacres10583.com for more information. The Scarsdale Synagogue Temples Tremont and Emanu-El (2 Ogden Road, Scarsdale) will host its annual Fall Mah-Jongg Tournament from 9 a.m.-6 p.m. Visit sstte.org for more information. Guitarist Stuart Webber will perform at The New Rochelle Public Library (1 Library Plaza, New Rochelle) at 3 p.m. Visit nrpl.org for more information. 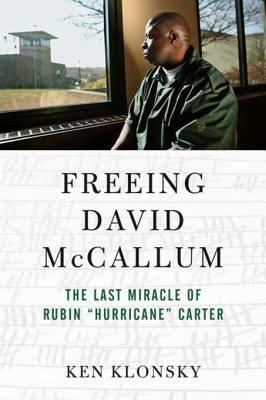 The Scarsdale Library (54 Olmstead Road, Scarsdale) will present “Freeing David McCallum: The Last Miracle of Rubin Hurricane Carter” from 2-4 p.m. Visit scarsdalelibrary.org for more information. Fall is in full swing and what better way to enjoy the change in seasons than to enjoy all the 88th Assembly District has to offer. There are plenty of festivals this weekend that will feature a great deal of food and music. The Scarsdale Farmer’s Market will make its debut from noon-7 p.m. in Boniface Circle (Scarsdale). This is a pilot program expected to last six to eight weeks. Contact Susan Douglass at susandouglass@gmail.com for more info rmation. Author Alexandria Marzano-Lesnevich will host a 2 p.m. discussion about her book, The Fact of a Body: A Murder and a Memoir, at Sarah Lawrence College (1 Mead Way, Bronxville). Visit sarahlawrence.edu for more information. 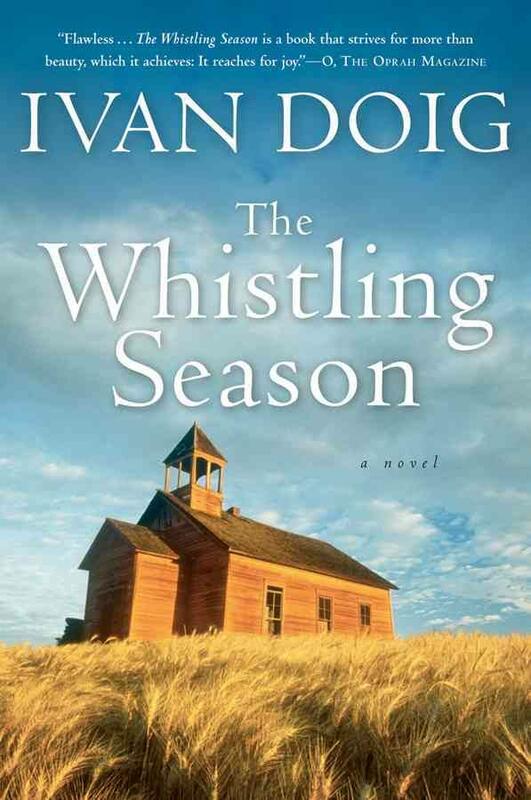 The After-Dark Book Club will meet at The Pelham Library (530 Colonial Avenue, Pelham) at 7:30 p.m. to discuss The Whistling Season by Ivan Doig. Visit pelhamlibrary.org for more information. The My Brother’s Keeper New Rochelle’s Implicit Bias Presentation will take place at New Rochelle High School (265 Clove Road, New Rochelle) from 5:30-7 p.m. Contact info@mbknewrow.com for more information. The Bartow-Pell Mansion Museum (895 Shore Road, Pelham Bay Park) will continue its “First Friday! Music & Trolley” program from 5:30-8:30 p.m. The trolley will make hourly trips from Pelham Bay Park to City Island and back. Songstress Queen Esther is scheduled to perform. Visit bartowpellmansionmuseum.org for more informa tion. The Manor Club (1023 Esplanade, Pelham Manor) will host a Texas Barbeque and Line Dancing at 7:30 p.m. Visit themanorclubofpelham.org for more information. 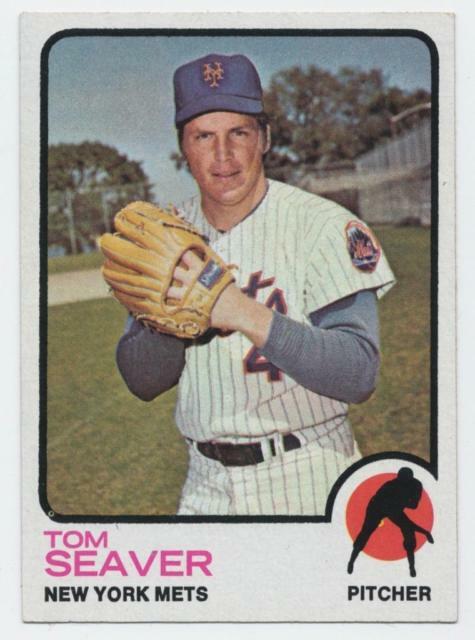 The Fall Classic Baseball Card Show will take place at The Westchester County Center from 2-8 p.m. The show will continue on Saturday (10 a.m.-5 p.m.) and Sunday (10 a.m.-4 p.m.). Visit countycenter.biz for more information. The New Rochelle/Pelham ArtsFest kicks off and runs through Sunday evening. There are a whole host of events throughout the weekend ranging from an Oktoberfest to music. Visit newrochellearts.org for more information. Alvin & Friends Restaurant (14 Memorial Highway, New Rochelle) will help kick off ArtsFest with “Wine and Art With Alvin”. Visit alvinandfriendsrestaurant.com for more information. The New Rochelle Library (1 Library Plaza, New Rochelle) will host The Friends Big Book Sale beginning at 10 a.m. Visit nrpl.org for more information. The Lord and Andra Art Gallery (10 Division Street, New Rochelle) will host an opening and artist’s reception for the exhibit “Big Action in Small Spaces” at 3 p.m. Contact ldavis@newrochelleny.com for more information. The Eastchester Columbus Day Carnival will kick off at 6 p.m. at Lake Isle Country Club (660 White Plains Road, Eastchester) and continue through 11 p.m. The DJ Dance Party begins at 8 p.m. Visit eastchestercolumbusday.org for more information. The Wall Street Rides Far Bike-a-thon for autism research will take place at Saxon Woods Golf Course (1800 Mamaroneck Avenue, White Plains) beginning with a 6:30 a.m. check-in. Visit wallstreetridesfar.org for more information. Lehman College professor Duane Tananbaum will chronicle the career of Herbert H. Lehman, former New York Governor and Senator, at the St. Paul’s Church and National Historic Site (897 South Columbus Avenue, Mount Vernon) at 1 p.m. Visit nps.gov/sapa for more information. The Bartow-Pell Mansion Museum (895 Shore Road, Pelham Bay Park) will host the “Fall Into Fall Harvest Festival” from noon-4 p.m. There will be music, games, crafts, food and fresh cider. Visit bartowpellmansionmuseum.org for more information. The Bronxville Women’s Club (135 Midland Avenue, Bronxville) will host The Olympus Piano Trio as part of the Midland Music Series at 7:30 p.m. Visit bronxvillewomensclub.org for more information. Supersonic Octopus will perform at Growlers Beer Bistro (25 Main Street, Tuckahoe) at 9:30 p.m. Visit growlersbeerbistro.com for more information. The Trinity St. Paul Church (311 Huguenot Street, New Rochelle) will celebrate Women’s Day with an Afternoon of Talk and Tea from 2-5 p.m. Visit trinitystpaul.org for more information. Alvin & Friends Restaurant (14 Memorial Highway, New Rochelle) in conjunction with Musician’s Aid Society of New York will host “Jazz Cats for Kids”, an afternoon of jazz education for children and families, at 1 p.m. Visit alvinandfriendsrestaurant.com for more information. ArtsWestchester (31 Mamaroneck Avenue, White Plains) will hold an opening reception for “Give Us The Vote”, which was inspired by by the 100th anniversary of women’s suffrage in New York State, from 3-6 p.m. Visit artswestchester.org for more information. grow! The Lincoln Park 6th Annual Arts & Cultural Fest will take place at Lincoln Park (Lincoln Avenue, New Rochelle) from noon-5 p.m. There will be food, dancing, music and more. Visit newrochelleny.com for more information. The Eastchester Columbus Day Carnival continue at 1 p.m. at Lake Isle Country Club (660 White Plains Road, Eastchester) and continue through 11 p.m. There will be a meatball contest at 6 p.m. followed by a wine contest. The band FDR Drive is also scheduled to perform at 6 p.m. Visit eastchestercolumbusday.org for more information. The Manor Club (1023 Esplanade, Pelham Manor) will host an art show and opening reception for an exhibition of Beryl Watson’s work from 4-6 p.m. Visit themanorclubofpelham.org for more information. The Immaculate Heart of Mary Church (8 Carman Road, Scarsdale) will host a blood drive from 9 a.m.-3 p.m. Visit ihm-parish.org for more information. Sarah Lawrence College (1 Mead Way, Bronxville) will present “Horse Girls”, a dark comedy about a girls horse club, at 7 p.m. Visit sarahlawrence.edu for more information. The ninth annual White Plains Oktoberfest will place from 1-6 p.m. on Mamaroneck Avenue. There will be food, drinks, music and more. Visit wpbid.com for more information. The New Rochelle Foodfest will kick off and run through Oct. 19. More than two dozen city restaurants will participate. Visit newrochelleny.com/foodfest for more information. The Westchester Amateur Musicians Orchestra will perform a 2 p.m. concert at The Scarsdale Library (54 Olmstead Road, Scarsdale). Visit scarsdalelibrary.org for more information. The 10th annual Paine to Pain Trail Half Marathon will start at The Thomas Paine Cottage (20 Sicard Avenue, New Rochelle) at 9 a.m. Visit painetopain.com for more information. 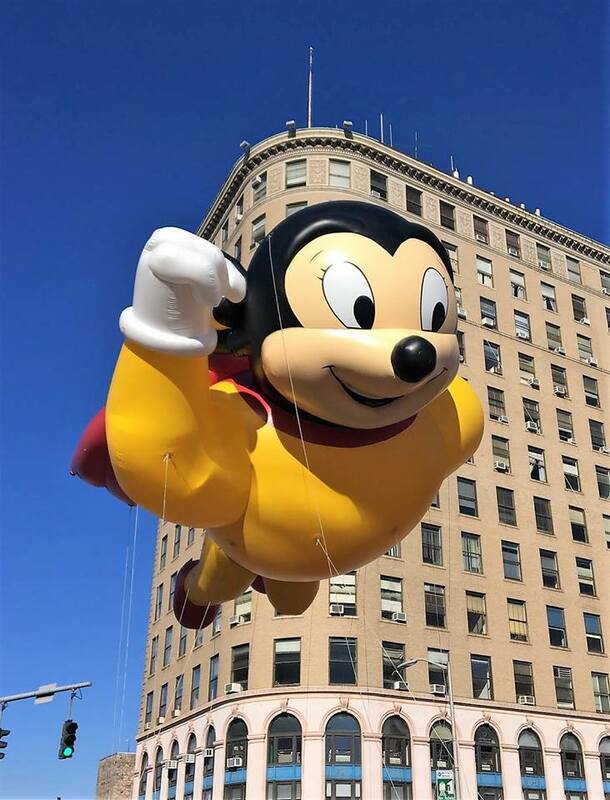 The Eastchester Columbus Day Carnival and Parade continues at 1 p.m. at Lake Isle Country Club (660 White Plains Road, Eastchester) and continue through 11 p.m. The Eastchester Columbus Day Parade will begin at 3:30 p.m. at The Immaculate Conception Church and head to Dempsey Place to Main Street. The route will travel north on Main Street to White Plains Road and continue to Lake Isle Country Club. There will also be a concert by Francesco Castiglione at 6 p.m. followed by a Grucci fireworks show. Visit eastchestercolumbusday.org for more information. The Eastchester Columbus Day Carnival concludes at Lake Isle Country Club (660 White Plains Road, Eastchester) from 1-6 p.m. The Dixieland Express Jazz Band will perform at 3 p.m. Visit eastchestercolumbusday.org for more information. The City of New Rochelle will host a 3:30 p.m. ceremony at Hudson Park (1 Hudson Park Road, New Rochelle) to commemorate Columbus Day. Call 914-654-2117 for more information. I’d like to wish a happy and sweet New Year to everyone who is celebrating Rosh Hashanah. Enjoy the holiday and all the things there are to do and see in the 88th Assembly District. The Scarsdale Farmer’s Market will make its debut from noon-7 p.m. in Boniface Circle (Scarsdale). This is a pilot program expected to last six to eight weeks. Contact Susan Douglass at susandouglass@gmail.com for more information. Author Stephen O’Connor will discuss Franz Kafka’s “A Country Doctor” at Sarah Lawrence College (1 Mead Way, Bronxville) at 2 p.m. Visit sarahlawrence.edu for more information. 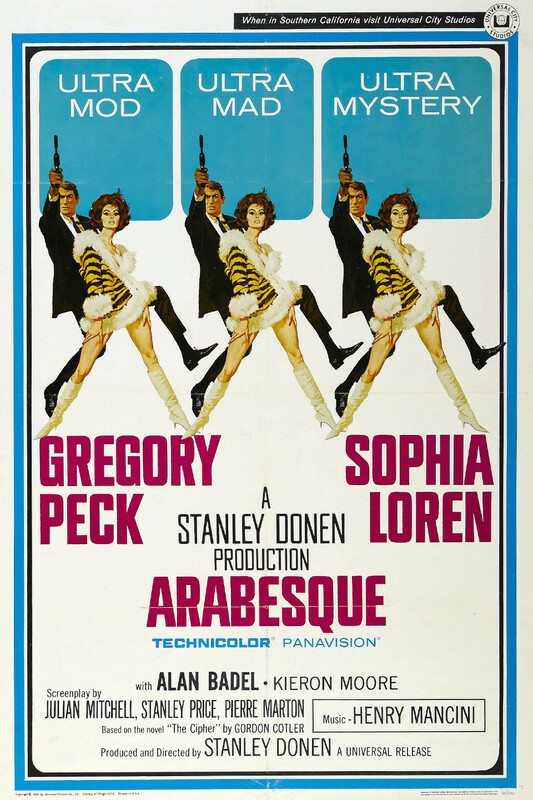 The Westchester Italian Cultural Center (1 Generoso Pope place, Tuckahoe) Film Series will highlight actress Sophia Loren in Arabesque at 7:30 p.m. Visit wiccny.org for more information. The Bronxville Library (201 Pondfield Road, Bronxville) will continue its Thursday Movie Matinee Series with a 1:30 p.m. showing of “Going in Style” starring Morgan Freeman, Alan Arkin and Michael Caine. Visit bronxvillelibrary.org for more information. The Westchester Clubmen will celebrate their 58th anniversary with a 6:30 p.m. gala at The Surf Club (280 Davenport Avenue, New Rochelle). Visit westchesterclubmen.org for more information. The Bartow-BartowPell Mansion Museum (895 Shore Road, Pelham Bay Park) will host a Fall Cocktail Party and Celebration in honor of the new floor covering in the entrance hall at 6:30 p.m. Visit bartowpellmansionmuseum.org for more information. The Generoso Pope Foundation will host The St. Pio Feast and Music Festival in Tuckahoe’s Depot Square beginning at 6 p.m. The festival will also run throughout the weekend until 7 p.m. on Sunday. There will be live music, Italian entertainment and food plus much more. Visit tuckahoe.com for more information. Jazz pianist Dinah Vero will perform at Alvin & Friends Restaurant (14 Memorial Highway, New Rochelle) from 7-10:30 p.m. The Rob Garris Birthday Bash will also take place from 10:30-11:45 p.m. Visit alvinandfriendsrestaurant.com for more information. Dannis Winston will man the piano bar at Underhill’s Crossing (74.5 Pondfield Road, Bronxville) from 8 p.m.-midnight. Visit underhillscrossing.com for more information. The WESTCOP Night of Champions will take place from 7 p.m.-midnight at the Holy Trinity Greek Church (10 Mill Road, New Rochelle). Charlene Blackwood, Annie Blay, Alvin Clayton, Gwen Clayton, Pamela Davis, Dr. Ralph Essien, Rev. Allan Paul Weaver and Carla Woolbright will be honored. Contact Benita Hamlett 914-636-3050 or Angela Farrish 914-636-7050 ext. 201 afarrish@nrmha.org for more information. Friday is Car Free Day in the Hudson Valley. Leave your car home and join the worldwide movement to celebrate sustainable transportation on Car Free Day. Visit hudsonvalleycarfreeday.com for more information. The St. Paul’s Church and National Historic Site (897 South Columbus Avenue, Mount Vernon) will host jazz flutist Eric Thomas for a 1 p.m. concert. Visit nps.gov/sapa for more information. New Rochelle’s second annual REALLY BIG RELAY will take place at The New Rochelle YMCA (50 Weyman Avenue, New Rochelle) pool from 10 a.m.-noon. This year’s event will benefit the Y’s Annual Support Campaign, which provides program scholarships for children and their families. Visit nrymca.org for more information. food items for your doll to enjoy. Visit girlagain.com for more information. The Bartow-Pell Mansion Museum (895 Shore Road, Pelham bay Park) will participate in Smithsonian Day Live, a nationwide program offering free admission to museums for the day. There will be guided tours of the mansion, the grounds and the carriage house. Tickets can be downloaded at smithsonianmag.com/museumday. The Saxon Woods Garage Sale will take place at The Saxon Woods Pool (1800 Mamaroneck Avenue, White Plains) from 9 a.m.-3 p.m. Visit westchestergov.com for more information. The Leslie Pintchik Trio will perform at Alvin & Friends Restaurant (14 Memorial Highway, New Rochelle) from 7:30-10:30 p.m. Visit alvinandfriendsrestaurant.com for more information. 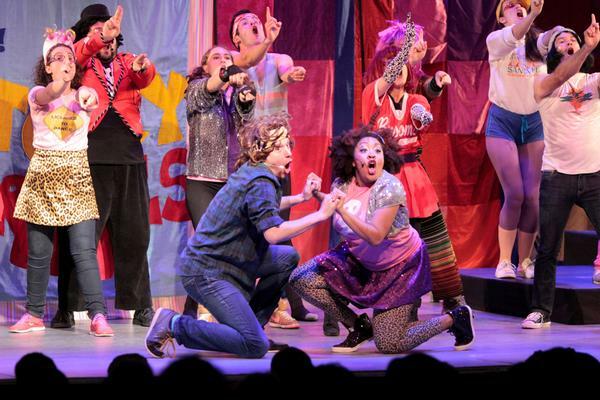 The White Plains Performing Arts Center (11 City Place, White Plains) will present Story Pirates, a nationally respected media and education organization celebrating the words and ideas of young people at 2 p.m. Visit wppac.com for more information. Bicycle Sundays return to the Bronx River Parkway from 10 a.m.-2 p.m. between the Westchester County Center in White Plains and Scarsdale Road in Yonkers. The 13.1 mile loop will be open to bikers and closed to car traffic. Visit westchestergov.com for more information. The Westchester Reform Temple (255 Mamaroneck Road, Scarsdale) will host The Jewish Learning Lab Alzheimer’s Walk at SUNY Purchase (735 Anderson Hill Road, Purchase) beginning with a 9-a.m. registration. Visit wrtemple.org for more information. The Eastchester 5K Run/Walk will kick off at Eastchester Town Hall (40 Mill Road, Eastchester) at 9 a.m. Proceeds will benefit the Eastchester Historical Society Restoration Fund and the Tuckahoe/Eastchester Girl Scout Cabin Fund. Visit runsignup.com/Race/NY/Eastchester/Eastchester5k for more information. The New Rochelle Public Library (1 Library Plaza, New Rochelle) will present the Tutti Bravi Production of “Anne Hutchinson: A Musical Drama” at 3 p.m. Visit tuttibraviproductions.org for more information. Cabaret artist Diana Templeton will perform at the Bronxville Library (201 Pondfield Avenue, Bronxville) at 3 p.m. Visit bronxvillelibrary.org for more information. The Garth Road Inn (96 Garth Road, Scarsdale) will have a live Irish music session from 6-8 p.m. Visit garthroadinn.com for more information. Barnes & Noble (680 Post Road, Scarsdale) will host a “Local Authors Festival” from noon- 4 p.m. More than 30 local authors will have an opportunity to discuss and promote their published books. Call 914-472-0689 for more information. Katya Grineva will man the piano bar at Underhill’s Crossing (74.5 Pondfield Road, Bronxville) from 5-9 p.m. Visit underhillscrossing.com for more information. The Manor Club (1023 Esplanade, Pelham Manor) will hold a jazz brunch featuring a performance by Chris Brown at 11:30 a.m. Visit themanorclubofpelham.org for more information.